High-Speed ? ?SpeedThe IEEE 802.11n standard supported by the TP-LINK adapter ensures excellent data transfer capabilities without loss over long distances despite several obstacles in a small office or in a large room. Even in buildings with steel and concrete structures. All demanding operations such as HD video streaming or VoIP telephony will not cause problems even at longer distances. This advantage will also be appreciated by online gaming players. 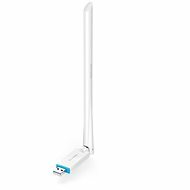 This USB wireless adapter with a detachable antenna will connect your desktop or laptop to your home network using the fast IEEE 802.11n standard. This will allow you to transfer files at up to 150Mbps, which will be appreciated especially by online gamers and HD video enthusiasts. The adapters also lets you stream HD content from your computer to a gaming console, multimedia centre, or other devices. The security of the connection is also paramount, which is why the adapter is equipped with a QSS button to quickly create a wireless network secured against unauthorized access from the outside. The IEEE 802.11n standard supported by the TP-LINK adapter ensures excellent data transfer performance without loss over long distances. The signal isn't hindered by barriers in a small office or large rooms, even in buildings with steel and concrete structures. All demanding operations such as HD video streaming or VoIP telephony will work seamlessly even at long distances. This advantage will also be appreciated by online gamers. Forget about signal loss due to channel conflicts. CCA (Clear Channel Assessment) technology automatically prevents channel conflicts, so you can enjoy uninterrupted, stable, and fast transmission without having to interfere with the network too much. Secure your network in a simple way. WPS (WI-FI Protected Setup) support lets you set up network security almost instantly by simply pressing the QSS button. Security with WPA2 encryption offers a much higher level of safety than the simpler WEP encryption. Besides the advantage of the fast security setup, you will also be pleased with the fact that you do not have to remember any passwords at all. Is the hardware version for this adapter v1.x or v2.x? 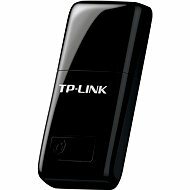 For shipping to other EU countries visit this page TP-LINK TL-WN722N. 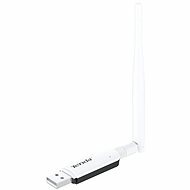 Für Versand nach Deutschland, besuchen Sie bitte WiFi USB-Adapter TP-LINK TL-WN722N. Chcete doručit zboží do Česka? 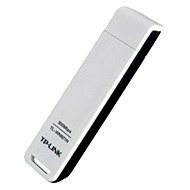 Prohlédněte si TP-LINK TL-WN722N. Chcete doručiť tovar na Slovensko? 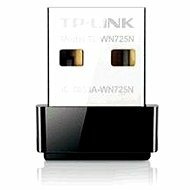 Prezrite si TP-LINK TL-WN722N. 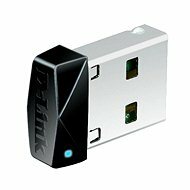 Für Versand nach Österreich, besuchen Sie bitte WiFi USB-Adapter TP-LINK TL-WN722N. Magyarországra történő kiszállításért tekintse meg ezt a termékoldalt: TP-LINK TL-WN722N.